A hilarious note was shared on the Facebook page, Love What Matters on Tuesday, where one father wrote a detailed post to his daughter, Scarlett, acting as the tooth fairy. "Dear Scarlett, you couldn't wait until I was back from my holidays? 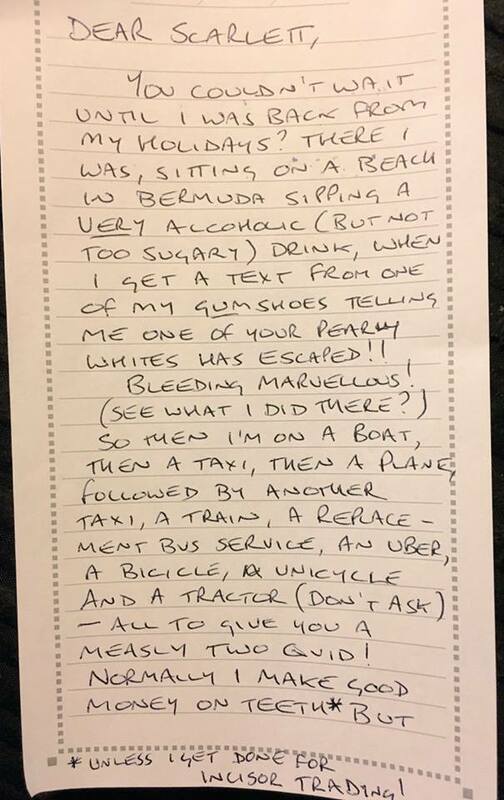 There I was, sitting on a beach in Bermuda, sipping a very alcoholic (but not too sugary) drink, when I get a text from one of my gumshoes telling me one of your pearly whites has escaped!!" "Bleeding marvellous!" the tongue-in-cheek dad continued. The father concluded his note to Scarlett by asking her to spend the money the tooth fairy gave her wisely, avoiding sweets and "sugary drinks." 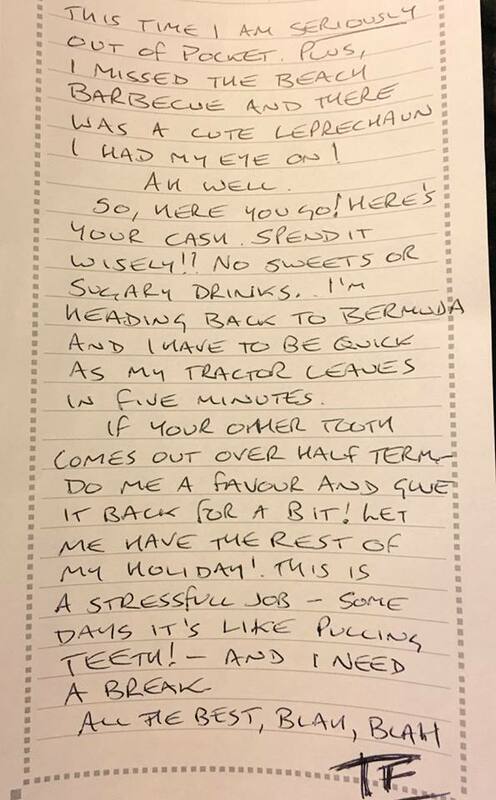 He wrote: "If your other tooth comes out over half term do me a favour and give it back for a bit! Let me have the rest of my holiday! "This is a stressful job - some days it's like pulling teeth!" he concluded. The letter has received a large amount of attention as all parents around the world nod and rejoice.